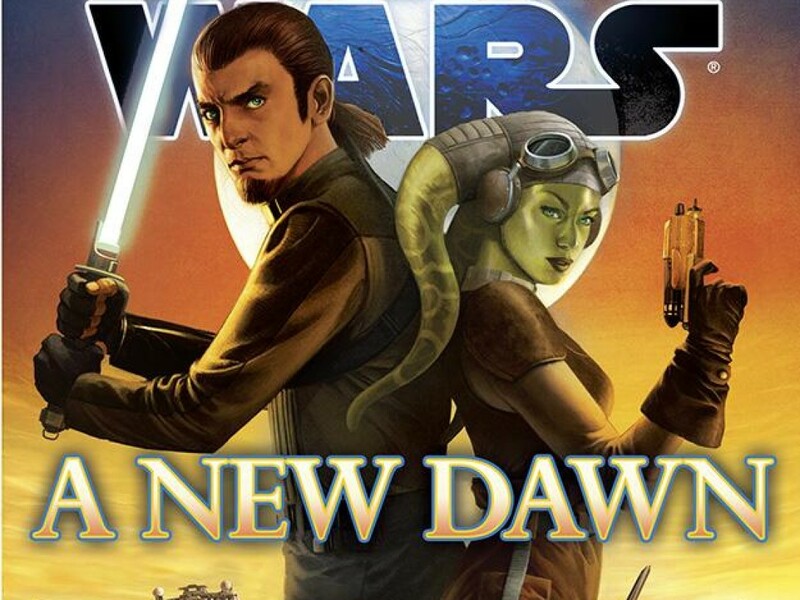 When I first developed the story that became Star Wars: Kenobi, my new novel releasing from Random House in hardcover, ebook, and audiobook on August 27, I knew what I wanted. Instead of a star-spanning space opera, I intended something much more akin to a western, telling the story of recent arrival to Tatooine Obi-Wan Kenobi and how the locals — settlers and Sand People — reacted to him. Set in the days following Star Wars: Episode III, the story does all that, while depicting the urgency of Kenobi’s mission to go underground and his pain over the events that have befallen the galaxy. It also depicts how his presence affects the world around him, as it certainly must. A body in motion tends to remain in motion, and Obi-Wan cannot resist the drive to help people in need. Even here, at the farthest place from the bright center of the galaxy! Tatooine, I knew, would be one of the stars of the story. And so we learn about the place as he does, becoming fully immersed in a world of deserts and dangers. It’s a world that had been detailed many times in past works; drawing on that, the result, hopefully, is a setting you can wrap yourself up and lose yourself in. But not for want of a map! 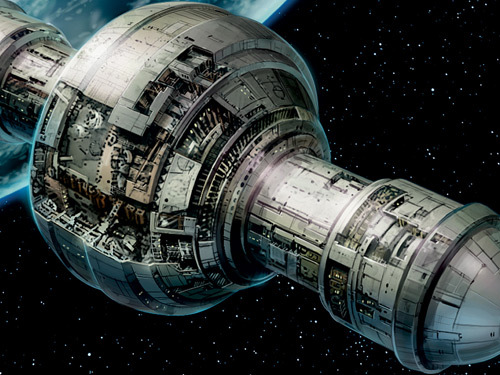 Because most of the locations in Kenobi have been placed before on previous published maps. Some, like the Pika Oasis, were no more than names, waiting — until now — to be fleshed out; others, like Mos Eisley, existed in highly detailed forms already. 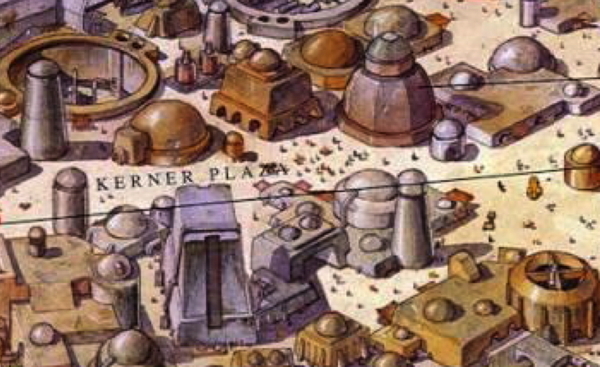 The “operative” map of Tatooine, as far as Kenobi is concerned, comes from 2005’s Star Wars Complete Locations by DK Press, written by Kristen Lund, Simon Beecroft, Kerrie Dougherty, and James Luceno, and illustrated by Richard Chasemore and Hans Jenssen. The maps of Tatooine’s surface therein supersede the maps from the previous Secrets of Tatooine from Wizards of the Coast, which placed a number of features differently. 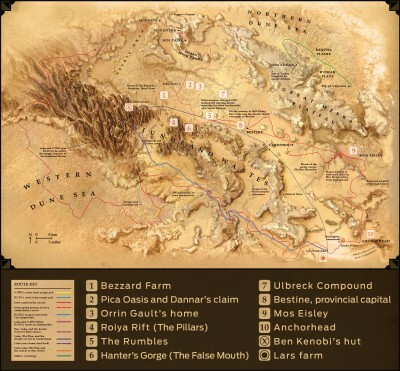 The third Tatooine map (kindly provided here by DK Press) in the book, provided to place the events in A New Hope, is the one I used most. The Bezzard farm (1) exists close — perhaps dangerously close — to the Jundland Wastes, but that’s what a lot of water prospectors look for: any difference in terrain or elevation that might improve their harvest. Its presence between a major pass in the mountains and the oasis to the north-northeast makes Sandcrawlers a familiar sight. The Pika Oasis (2) is the commercial center of the farming country west of the provincial capital of Bestine. It is home to Dannar’s Claim, depicted in more detail below. Apart from Dannar’s Claim, much of the territory on and around the oasis is owned and farmed by Orrin Gault, local businessman. The eastern end of the oasis is the setting for Orrin Gault’s home (3), a large place incorporating buildings started by Gault’s grandfather, years earlier. The garages here hold mostly personal vehicles as of the novel’s timeframe, the farming fleet having been relocated to the Claim. 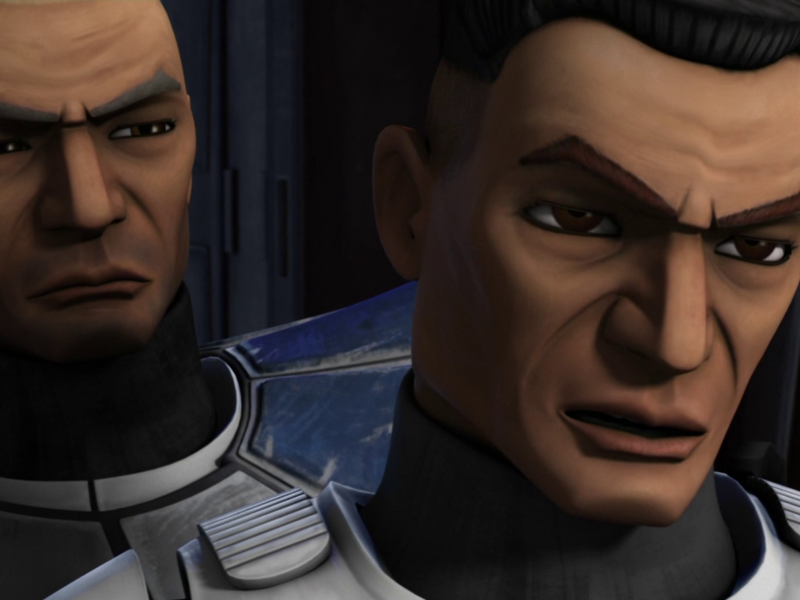 Known to the Tuskens as “The Pillars,” the Roiya Rift (4) is a steep and shattered entry into the Jundland highlands. From a semicircular basin on the desert floor, pathways lead south and up to a clearing surrounded by towering megaliths. Further south lies more rugged country still. The Rumbles (5), as it is colloquially called, is a pothole-strewn stretch of desert that provides a queasy ride for low-riding repulsorcraft passing overhead, hence its name. 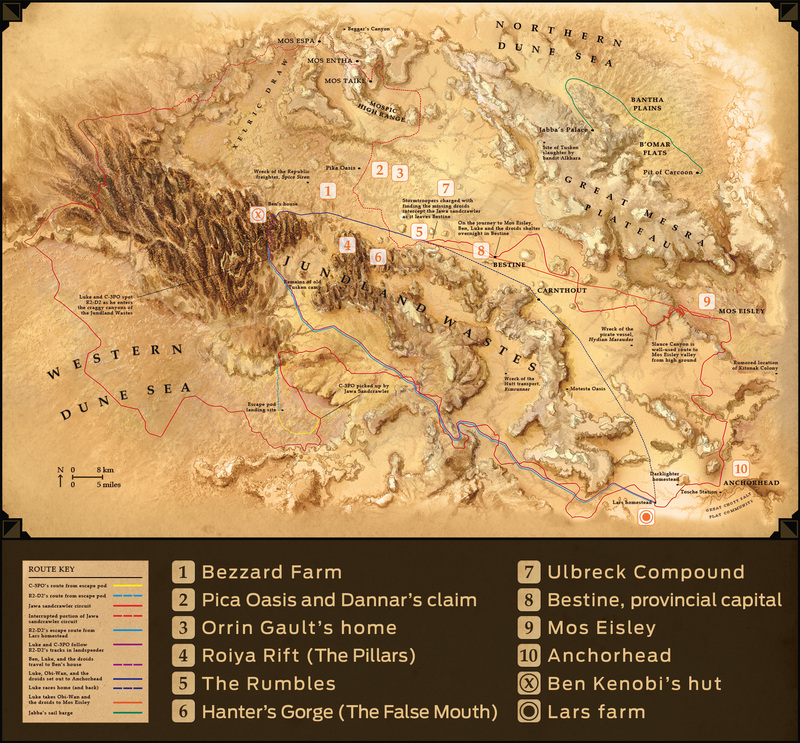 East of the Roiya Rift lies Hanter’s Gorge (6), known to the Tuskens as the False Mouth. The canyon goes deeper into the mountains without picking up elevation, while its upper surfaces can be accessed from alternate routes. Bryce Canyon in southwestern Utah provided the inspiration for the look of this and other Jundland-related areas. Bestine (8), the provincial capital, is where we saw Obi-Wan seek the title to his hut in Ryder Windham’s Life and Legend of Obi-Wan Kenobi. Not to be confused with the planet Bestine, the burg isn’t much in the way of a metropolis. It’s no Mos Eisley (9), described in more detail below. Finally, Anchorhead (10) is the hub for a local community that includes the Darklighter and Lars homesteads. It’s the first stop we see in Kenobi. Dannar’s Claim, the center of local society in the Pika Oasis, began as a pair of adjacent domed houses. Dannar Calwell took out the southern wall of the south dome and built the long rounded-roofed projection which became home to his general store. Garages followed, which soon dwarfed the store. 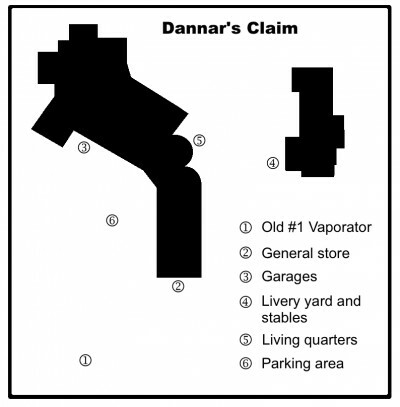 The signature fixture on the Claim property — apart from the old sign that reads “Find What You Need At Dannar’s Claim” — is Old Number One vaporator (#1 on the map, naturally), the massive Pretormin vaporator on the hillside nearest the claim. The sturdy device towers over the nearby buildings and houses, at top, the local Settlers Call warning siren and transmitter. “The Claim” as referred to by its patrons as often as not refers to the general store area (#2), accessible by exterior doorways to the west, south, and east. Starting from the doorway to the livery yard, the store counter runs much of the eastern wall, terminating at the rounded area — part of the original dome structure, now used as the Claim’s food and beverage service area. Merchandise shelves run diagonally along the western two thirds of the store area, which also includes the rifle counter and the door to the parking area. The northern end of the store structure contains Orrin Gault’s satellite office and the tack room. A pass-through hallway leads from the northern end of the store diagonally to the garages and living quarters. The garages (#3) are a honeycomb of buildings of various sizes and shapes, all connected within and, naturally, all having closable bay doors that face outward. Itinerant mechanics rent out spaces, and there are several vendors running other services in the facility. In recent days, the garages house also both Orrin Gault’s vaporator service fleet and also the emergency response vehicles owned by the Settlers Call Fund. The stable (#4) and its attendant outbuildings sit to the east of the main structure, with the fenced livery yard surrounding it to the west and north. A ridge blocks expansion to the east. The stables and western livery yard are visible from the windows at the store counter and in the residence. Dewbacks, eopies, and other animals are available for rent at the stables, now managed by Kallie Calwell. The other of the original domes serves as living quarters (#5) for the Calwells, including a kitchen area, refresher, private rooms for Annileen and her children, and guest quarters. Windows and a back doorway look out onto the livery yard. Finally, the Claim sports large parking areas (#6 and elsewhere), for use by patrons and also by defenders who muster here to fight the Tuskens. Another clearing south of the stables leads to the most traveled Sandcrawler route. Far from the countryside, Mos Eisley provides a number of locations for the novel. 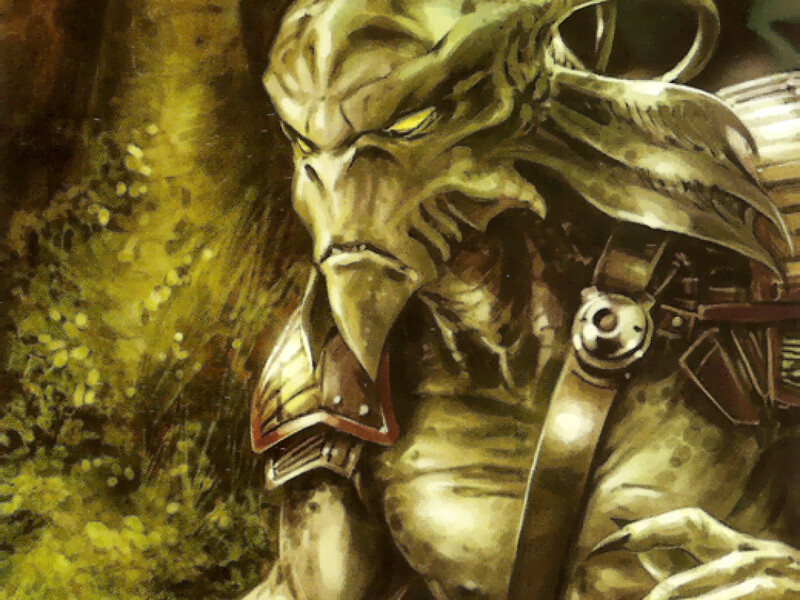 Written by Martin Wixted and illustrated by John Paul Lona, Allen Nunis, and Mike Vilardi, West End’s 1993 Galaxy Guide 7: Mos Eisley represents one of the earlier troves of information about the wretched hive of scum and villainy. Its maps of the city became the backbone of the later, sprawling Complete Locations map — and several locations depicted inside turned up in short fiction. One of them, Jabba’s Townhouse, appears prominently in Pablo Hidalgo’s short story “Spare Parts” (1996) in Star Wars Adventure Journal #11. 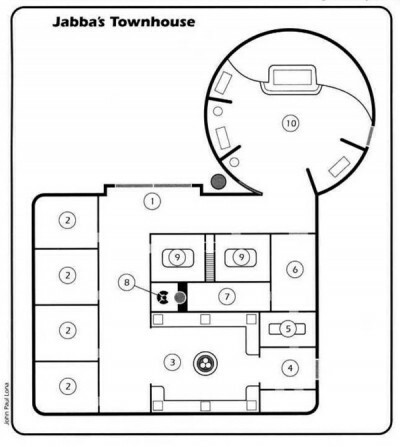 Locations #1-9 on the map refer to living quarters for Jabba’s in-town guests and rooms related to managing his urban criminal activities; but #10, as depicted in “Spare Parts,” is the fun one: Jabba’s satellite throne room. It’s a lovely room with its own version of the Rancor Pit — only this particular trap isn’t very well thought-through, as that story demonstrated. The townhouse is just one Mos Eisley location mentioned in the novel, along with Kerner Plaza, the Court of the Fountain, and several others. Which ones are references and which ones will we actually visit? 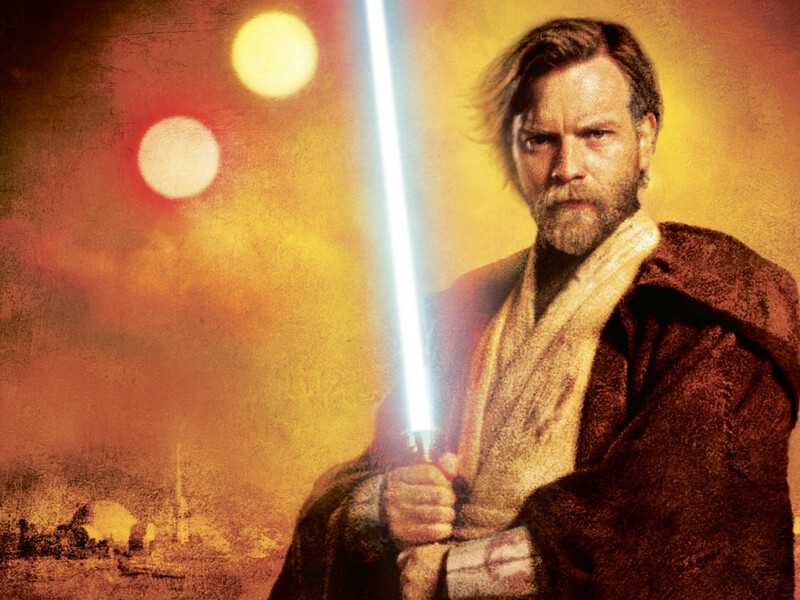 Find out when Star Wars: Kenobi releases on August 27! 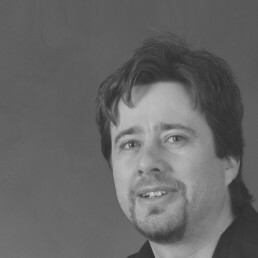 John Jackson Miller is the author of Star Wars: Kenobi, Star Wars: Lost Tribe of the Sith, and Star Wars: Knight Errant from Random House/Del Rey — as well as more than a dozen Star Wars graphic novels from Dark Horse, including the upcoming Star Wars: Knights of the Old Republic Omnibus series. His own Overdraft: The Orion Offensive is just out from 47North. Follow him on Twitter at @jjmfaraway, and visit his site at farawaypress.com!